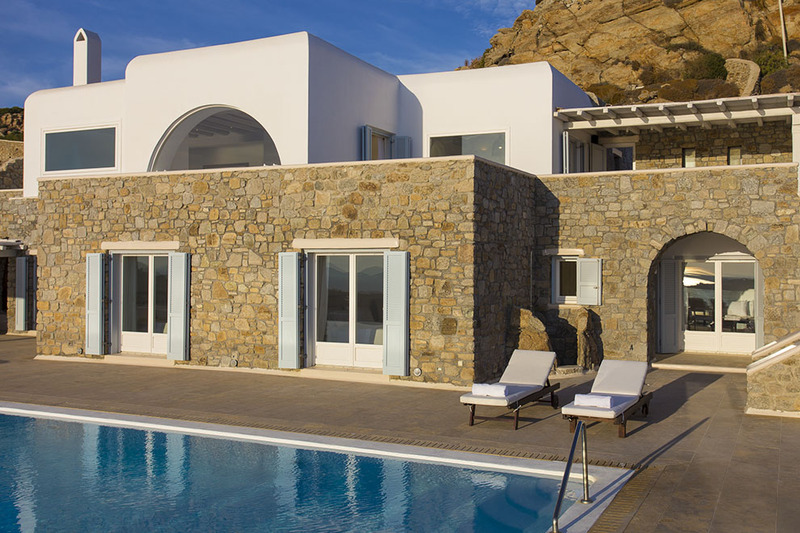 Standing above the magnificent and picturesque gulf of Ornos beach at the edge of the hill, brand new Villa “Blue Diamond“ promises the best Aegean view in Mykonos island and overlooks the half of it and the neighbor islands of Paros, Tinos and the ancient islands of Delos and Rhenia. 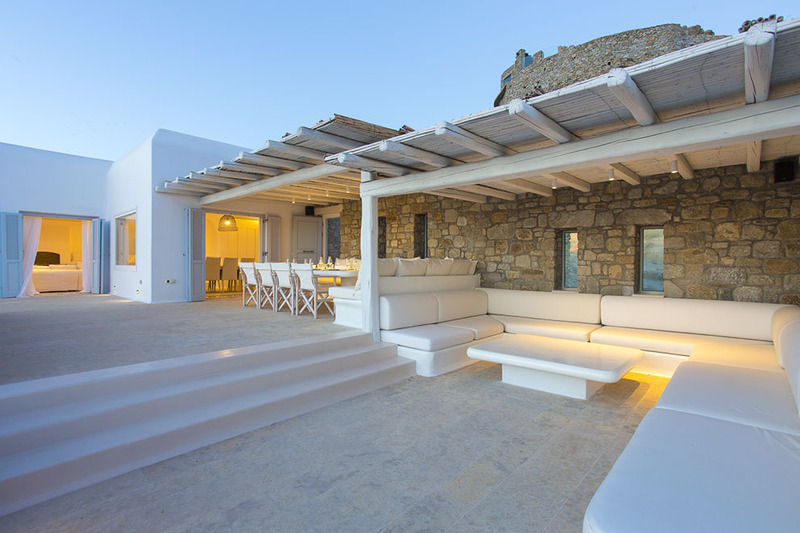 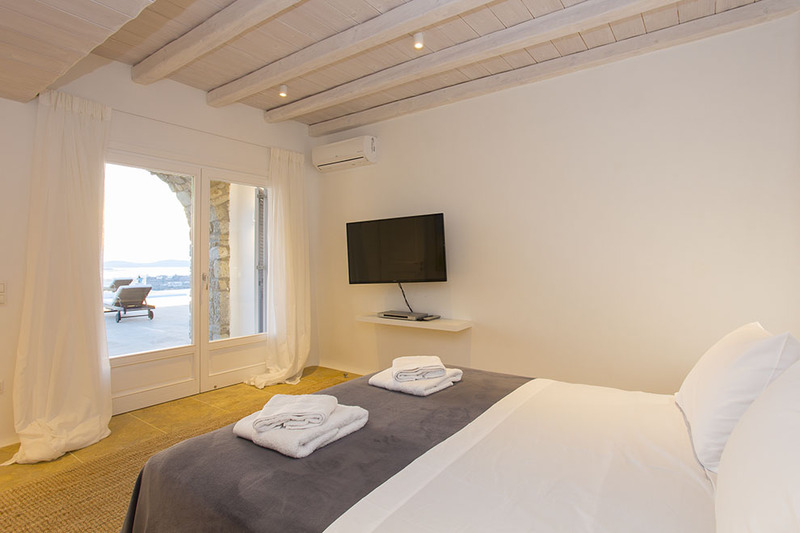 Situated at one of the most prestigious and tranquil areas of the island, boosts unforgettable Mykonian days and nights and close proximity to all the renowned southern beaches of the island like Psarou beach and also to St. John, Ornos and cosmopolitan Mykonos town. 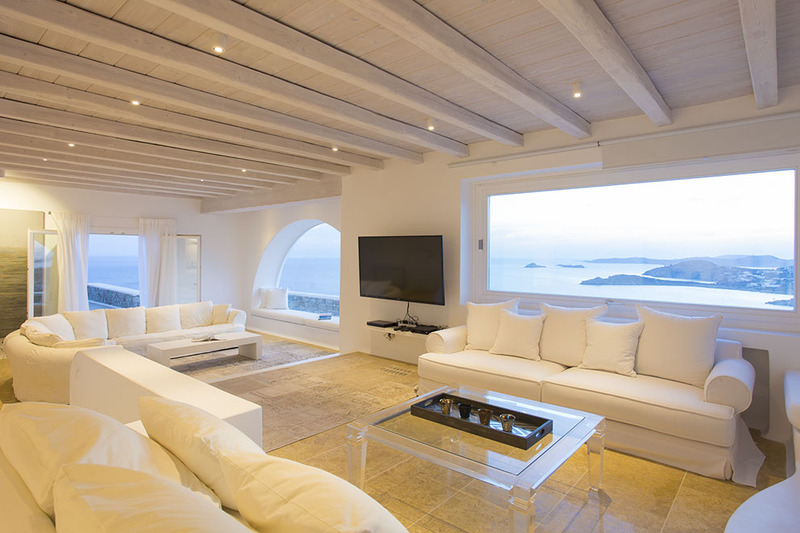 Concerning the interior of the villa, the luxury minimalism dominates the scene and the luminous cozy sitting areas calm the senses, offering incomparable comfort. 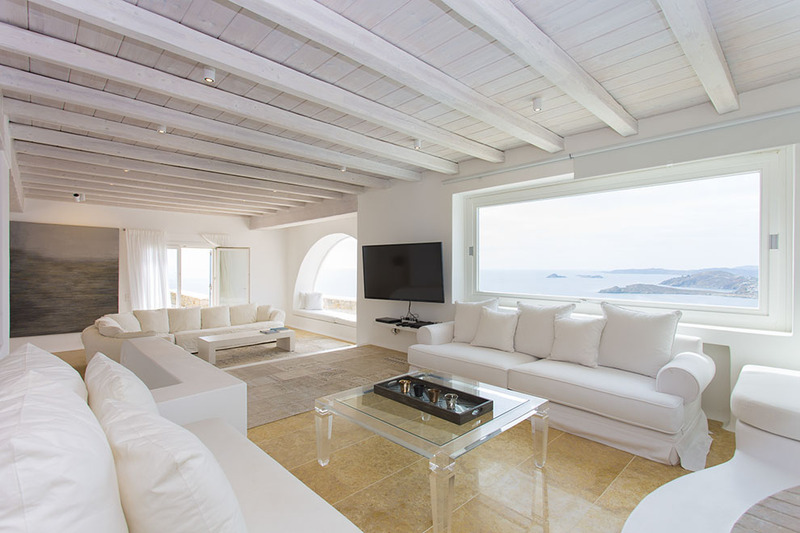 The contemporary amenities and the luxurious designer’s furniture, along with the spacious superb rooms create a unique environment. 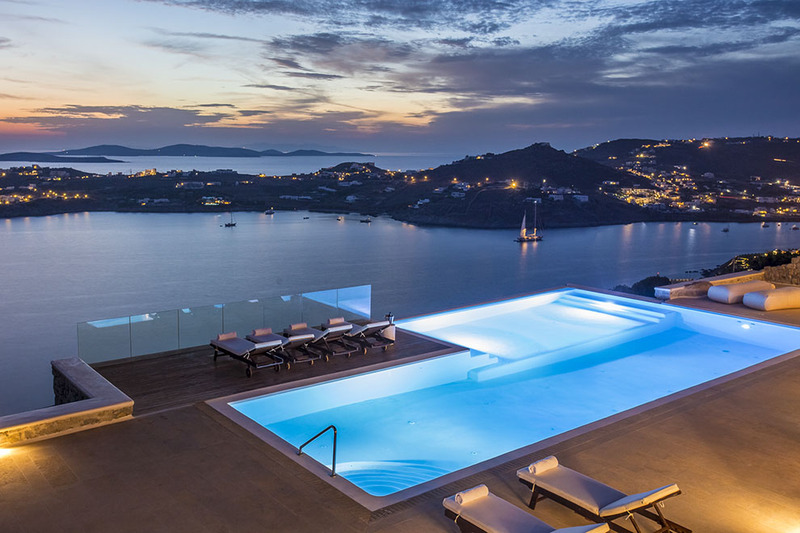 Villa “Blue Diamond“ is developed in two levels. 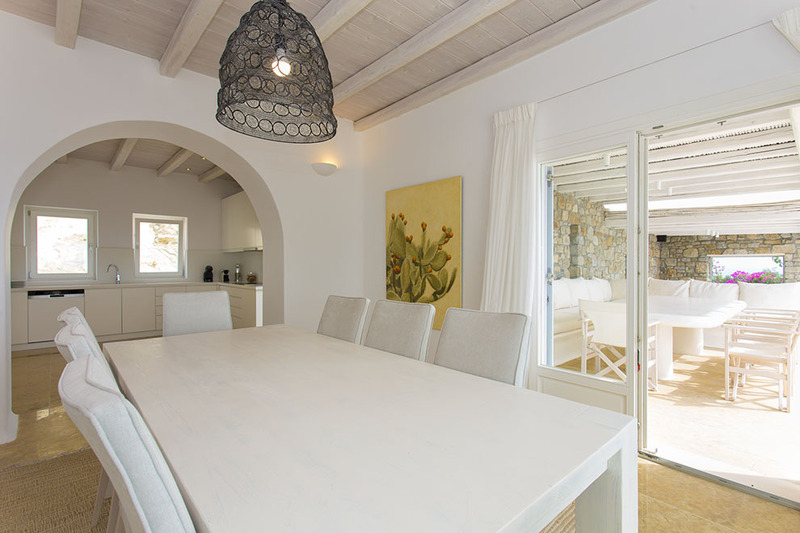 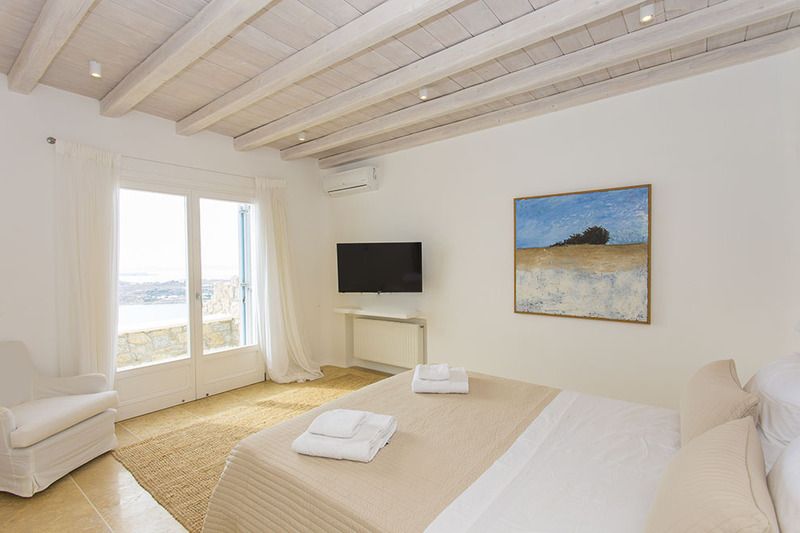 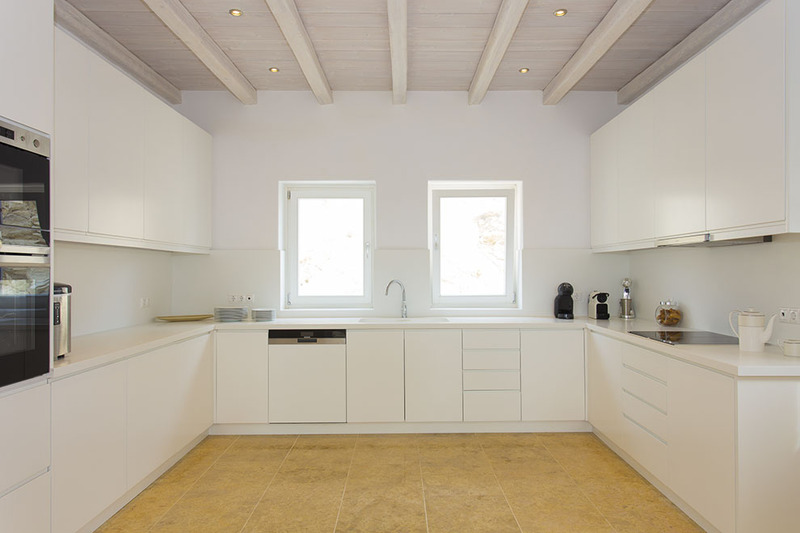 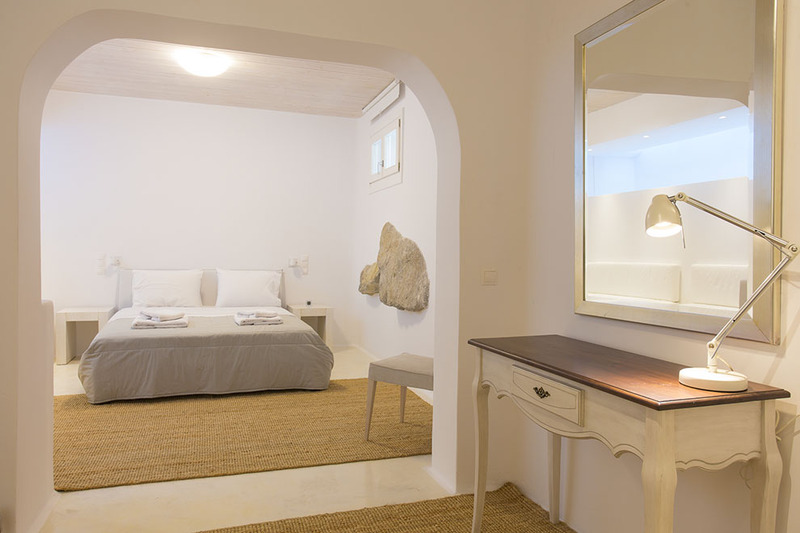 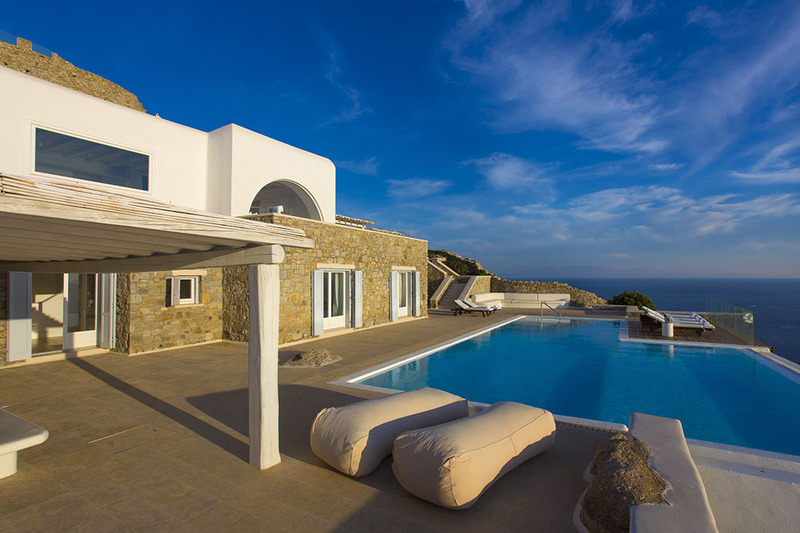 On the lower level of this magnificent Mykonos villa there are a large fully equipped kitchen, 5 en-suite bedrooms and dressing rooms. 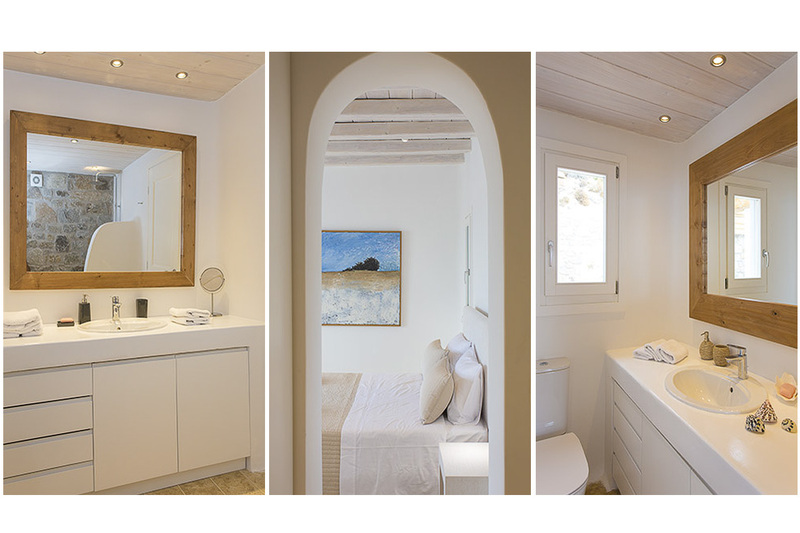 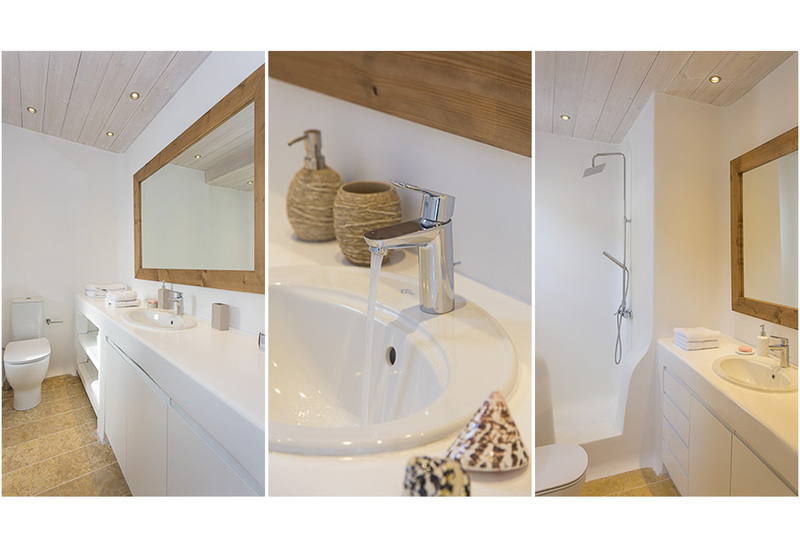 While on the upper floor, guests can find spacious living and dining areas, a fully-equipped kitchen and an en-suite bedroom with its comfortable dressing room. 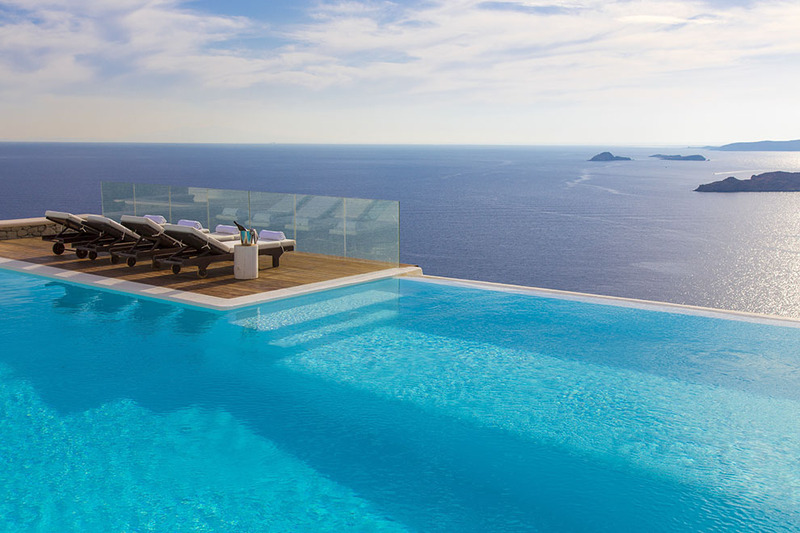 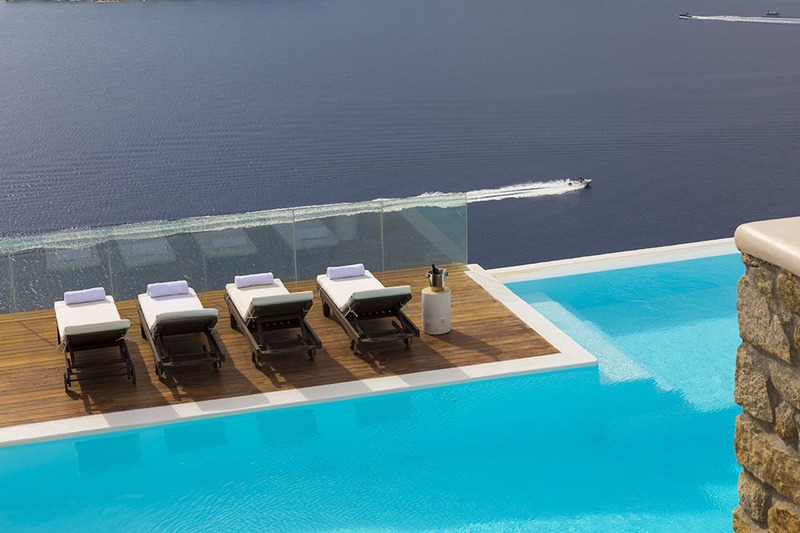 Moving on to the exterior, the large terrace with its pergola, together with the amazing infinity pool and the sun beds at the edge of the rock make you feel breathless. 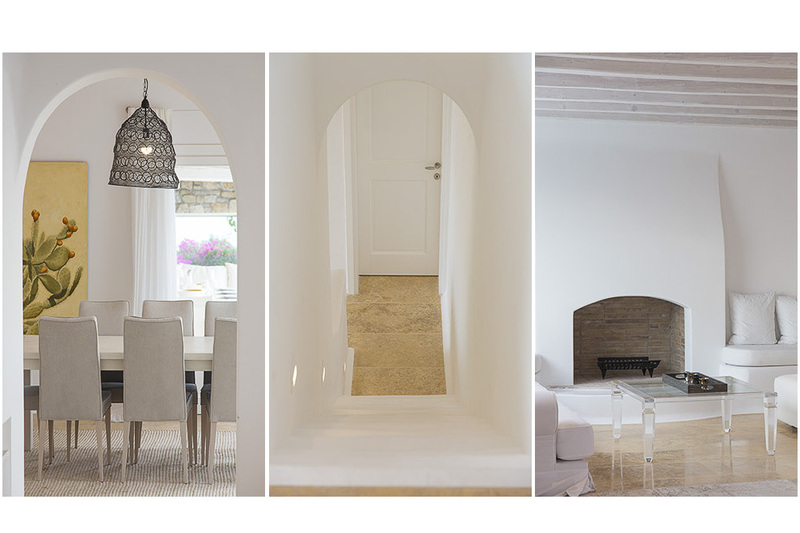 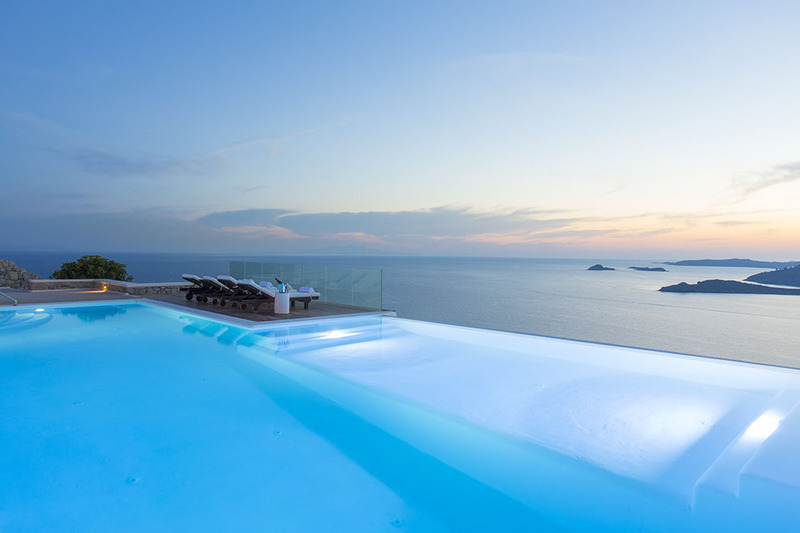 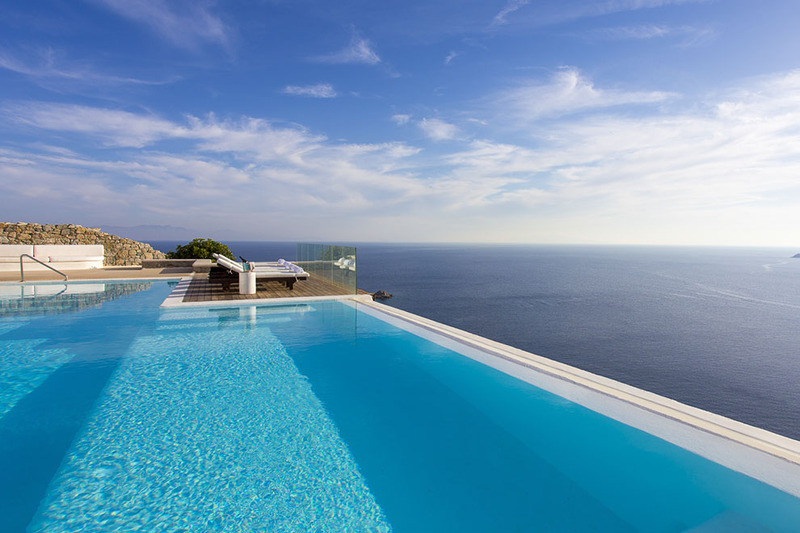 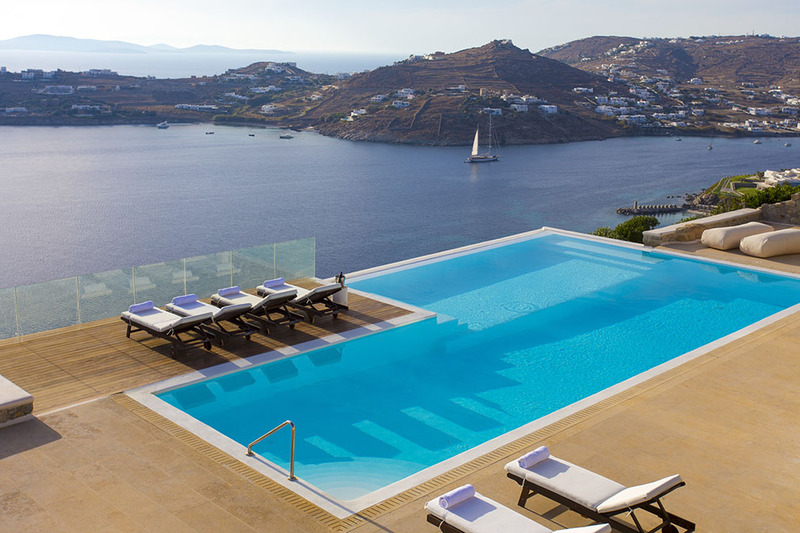 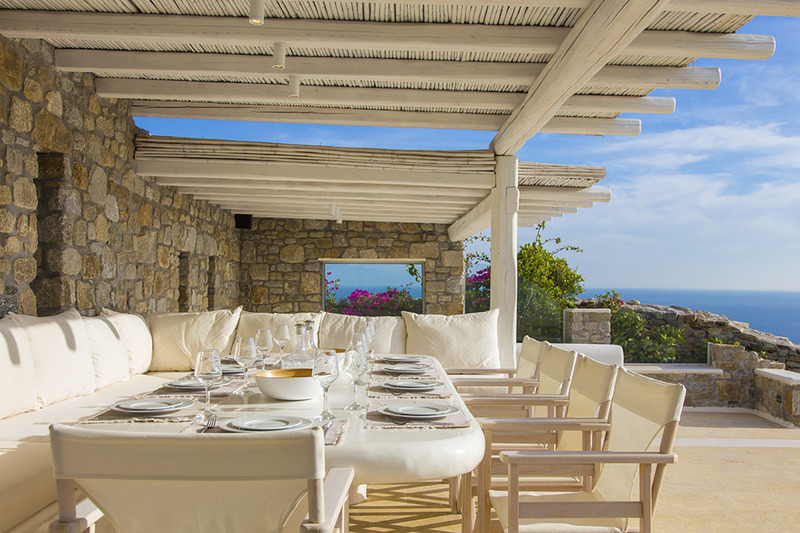 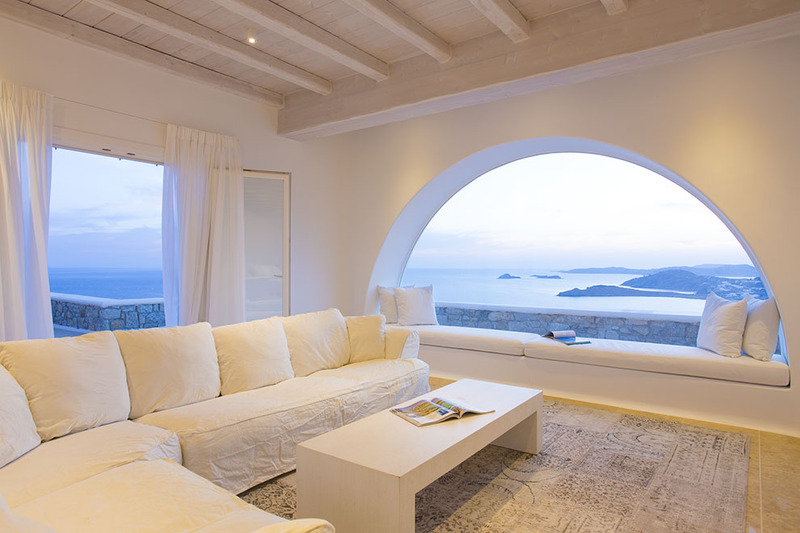 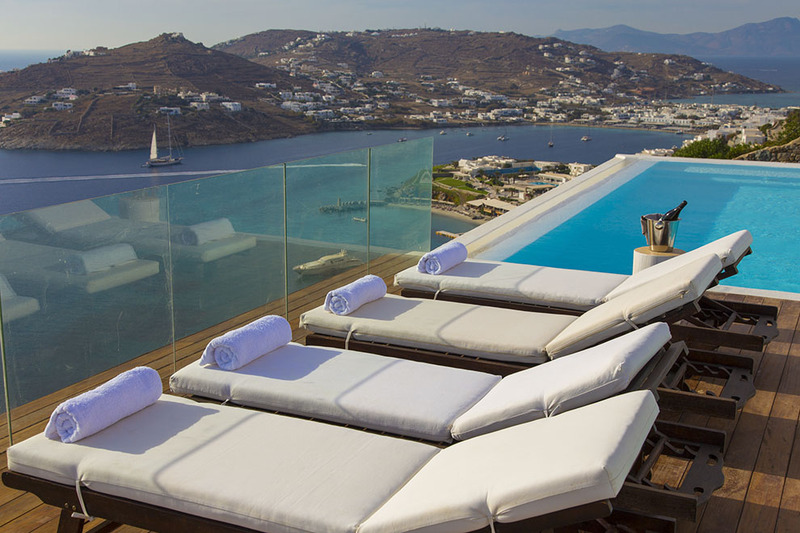 An extraordinary atmosphere is all around to this extravagant Mykonos villa. 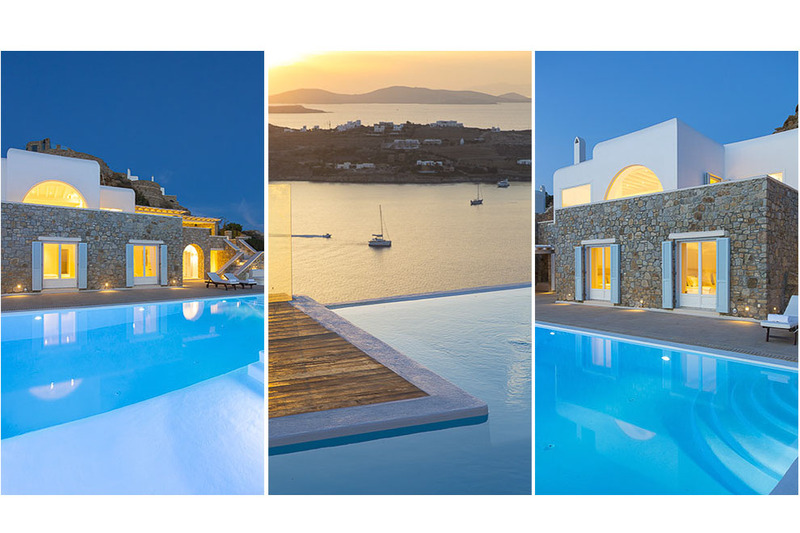 Villa “Blue Diamond“ is the most stunning choice for demanding guests that are looking for a stylish villa, close to Mykonos town and to the famous gold sandy beaches, offering privacy and great view.